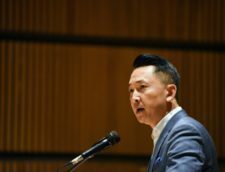 Adiba Jaigirdar reviews Viet Thanh Nguyen’s The Displaced for Cultured Vultures, giving it a 10/10 rating. 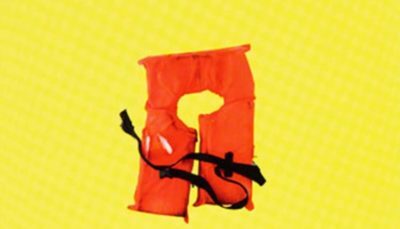 Viet Thanh Nguyen’s The Displaced collects essays by refugee writers about refugee lives. It hosts a collection of diverse perspectives from all across the world, bound together by their shared trauma, though decades and thousands of miles apart. In our modern world, we currently have a refugee crisis. Refugees are fleeing persecution from multiple lands, from Myanmar to Syria to Eritrea. Yet, as the number of refugees grows, as the persecution they face intensifies, so does the hatred and fear of them. Some of the world’s most powerful countries are eager to shut their doors to refugees. The refugees that are already settled into these countries are often put into camps where conditions are dire. Given all of this, the importance of a book like The Displaced cannot be stressed enough. The Displaced offers real insight into what it means to be a refugee. Who is allowed to be a refugee and who isn’t? What is the difference between being a refugee and a migrant? When do these two identities intersect? Do they ever? This is merely a glimpse into this brilliant collection that tells stories of refugees from all across the globe, stretching multiple countries and multiple identities. Though the essays tell us of a time in the past, of war-torn countries, separated families, and refugee camps, they could not feel more attached to the present. The current world and its refugee crisis hangs like a shadow over each essay, reminding us that we are repeating this past, we are watching refugees suffer, and turning them away at the door, telling them that their right to life is not our problem, that we don’t care. 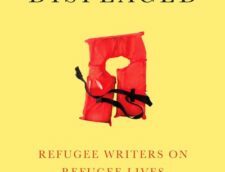 The Displaced is a collection of essays that hits at the truth and holds up a mirror to our world. It’s a must-read for everyone. 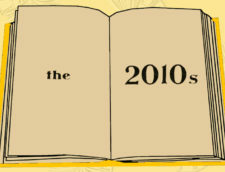 A brilliant collection of essays that tackle a timely and important topic. A must-read. 10/10.